Palau was ranked top in a Facebook survey of best places to swim. The survey was posted on the Visit Palau Facebook page, and the complete list is featured on the Travel Video News website, among others. Palau’s Jellyfish Lake ranks high as one of the most unusual. The lake is home to two types of jellyfish, which, due to their isolation, have become stingless, providing a rare opportunity for swimmers and divers. The list also featured locations in Hawaii, Canada, Thailand, Oregon, Iceland, California and Zimbabwe. The Dead Sea in Israel also made an appearance on the list. The bid for the first casino license authorized on Saipan, secured by Best Sunshine International Ltd., made global news. 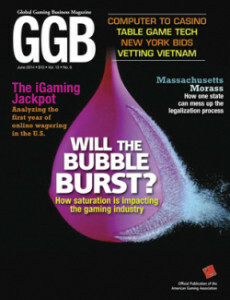 The June issue of Global Gaming Business featured an article about two bidders for the license. Hong Kong-based Marianas Stars Entertainment and Best Sunshine International Ltd. were the two applicants. Each bidder was required to wire proof of $1 million for a non-refundable application fee and a $30 million casino license fee. Japan’s Sankei Sports Shimbun (Tokyo Edition) newspaper featured fishing in the Northern Mariana Islands in July. An editor, cameraman, and two guests were in Saipan in June to gather information and photos for the feature. The guests were winners of the Sanspo Fishing Challenge 2013. Sankei Sports Shimbun is distributed daily to subscribers and at newsstands, circulating about 750,000 copies and targeting fishing enthusiasts and active seniors in their 30s to 60s. While in Saipan, the newspaper chartered Saipan Sea Ventures for two days of fishing out of Smiling Cove Marina. The party also conducted an island tour on the day of their arrival, visiting the Grotto, the Last Command Post, Banzai Cliff and Bird Island Lookout. Representatives of five major newspapers and magazines in the Guangdong province in China visited the NMI in July to learn about the destination in order to promote new charter flights from Hong Kong to Saipan launched in May. Their itinerary included an island and jungle tour, a sunset cruise, marine sports and a barbeque lunch at Managaha, a submarine tour, a tour of American Memorial Park and Garapan and golf at Lao Lao Bay Golf Resort. The participating publications were the Shenzhen Economic Daily – Travel Weekly Magazine, targeting government, private companies and high-consumption readers with a circulation of 600,000 copies; Guangzhou Boutique Life, targeting high-income groups in Southern China with a circulation of 500,000; Shenzen Daily, targeting white-collar elite with a circulation of 500,000; DongGuan Daily, targeting the middle and high market with a circulation of 200,000; and Southern Daily News, targeting the high-consumption reader market with a circulation of 180,000. 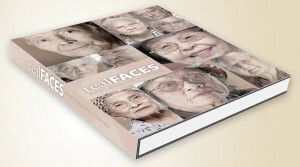 The Guam War Survivors Foundation in August released a book entitled, “realFACES,” a tribute to Guam’s war survivors. The book features a collection of the stories and photos of Guam’s World War II residents who survived the Japanese occupation, along with the writings and reflections of local leaders, scholars, children of survivors, and the youth of Guam. The hardcover volume is more than 270 pages. The book is a result of the “Real People. Real Stories” project. The project began as a weekly series in the Marianas Variety Guam Edition featuring the unedited testimonies and photos of 30 Guam war survivors who had spoken before the Guam War Claims Review Commission in December 2003. Ten of the 29 survivors have passed on, prompting the foundation to start the book project in their honor. The book can be purchased for $70. For purchasing information, contact Frank Blas Jr., Guam War Survivors Foundation president at (671)687-1483 or frank.blasjr@gmail.com. The Guam Humanities Council on June 26 launched the Guam tour of “Journey Stories” and “Sindalu, Chamorro Journeys in the U.S. Military” exhibits at the Agana Shopping Center. The exhibit was at the Agana Shopping Center from July 26 to Aug. 16. The exhibit will travel to the University of Guam and will close out the year at the Guam National Guard Readiness Center in Barrigada. Journey Stories is a Smithsonian exhibition under the Museum on Mainstream Program that depicts the story of migration and transportation in the United States. The Sindalu exhibit was developed by the Guam Humanities Council and depicts the experience of Chamorros in the U.S. military and how the experience impacted them. Two illustrated children’s books about Guam and the Northern Marianas Islands are now available on Amazon.com. “Chamorro ABCs: Animals, Plants, and Things of the Mariana Islands” and “Ai Adai Guali’ek Everywhere: A Rhyming Story about Island Geckos” are authored and illustrated by Gerald V. Aflague and are on sale on the website for $8.96. “Ai Adai, Guali’ek Everywhere” is a children’s rhyming story about the brown geckos found in Guam and the NMI. “Chamorro ABCs: Animals, Plants, and Things of the Mariana Islands” is a Chamorro alphabet book with color illustrations to help children learn. Tiffany Ruhl, curatorial assistant, Museum on Main Street, Smithsonian Institution; and Kimberlee Kihleng, executive director, Guam Humanities Council, at the Journey Stories exhibit at the Agana Shopping Center.